Earlier this month I blogged here about Christina Katz’ Every-Day-In-May Book Giveaway. It’s still going strong. You can check out Christina’s site to see all the fabulous books she’s given away thus far. Today I blogged over at Easy to Love… about all that my county Parent to Parent group has done to support my family in our unusual journey through parenthood. Check it out! 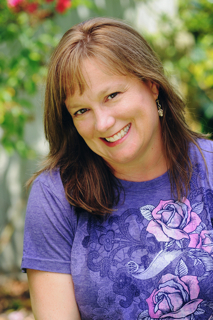 Each May, Christina Katz, author of Writer Mama, Get Known Before the Book Deal, Author Mama, and this year’s The Writer’s Workout, hosts a daily book giveaway on her blog, The Prosperous Writer, featuring the works of many of her former students. How it works: visit her blog each day to see the featured book and post a comment answering the question of the daily blog. One winner will be chosen from those that comment. If you win a book, Christina will be in touch and mail you your book within a couple of weeks. Simple as that. 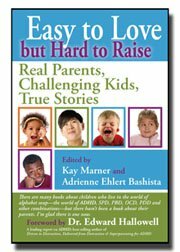 I’m honored that the anthology Easy to Love But Hard to Raise: Real Parents, Challenging Kids, True Stories that includes my essay, Finding My Way will be up for grabs later in the month alongside other anthologies featuring her student’s work. I’ve taken Christina’s classes Writing and Publishing the Short Stuff and Dream Team. Her classes and books have served my writing career very well, so please head over to Christina Katz blog and comment away to win! Today I posted an article over at Easy to Love But Hard to Raise about recent studies focusing on children labeled “bloomers,” kids who were once diagnosed with Autism Spectrum Disorder (ASD) but have effectively shed their diagnosis by age 8. Could children diagnosed with other disorders be bloomers? What characteristics do bloomer’s parents share? And what’s so special about age 8? Read on to find out. Check out my most recent post over at Easy to Love But Hard to Raise about navigating the confusing social world of the elementary school play date. Writing my most recent blog post over at Easy to Love… this morning, Diagnosis: Bain or Blessing? reminded me that tired parents of special needs children are everywhere. Our stories are ultimately as unique as each of our beloved children, and yet so much the same in our hopes, our survival, and our celebration of the complexities that life has brought.